I believe there are no accidents. I'm humbled and honored to give back. ​Anna and I met in 2013 by accident -- or at least that's what I thought. Wait, what did I ...? Oh no! I cannot believe I just hit send on that email. ​What I meant to send was an email respectfully declining her resume submission and letting "Anna Carmichael" know we were moving forward in our interview process. What I did instead was send an email inviting her to an interview. Ugh! Since I made what I thought was a mistake I decided to go ahead and bring her in for a courtesy interview. I figured it wouldn't hurt, and I knew it wouldn't take much time to have a quick chat. Little did I know, but Anna also "accidentally" sent me an old unedited resume. She was sure she had missed out on the job and was surprised to get an email asking her to come for an interview. When Anna showed up, it only took a few minutes into the interview for me to be BLOWN AWAY! She was intelligent, articulate, presented herself with confidence and humor. She stood out ... way out ... among all the applicants we had interviewed, and I KNEW I had to have her on my team. In February 2013 she was hired as the part-time Volunteer Coordinator at Habitat for Humanity, and I must say it was one of the best hiring decisions I've ever made. Little did I know then, but we would be friends long after our work together at Habitat ended. 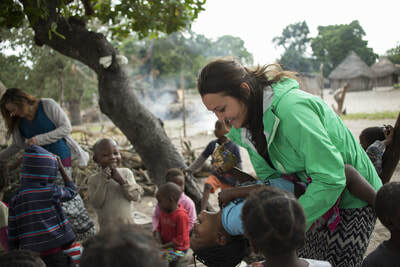 ​As I got to know Anna on a personal level I learned she was also building a non-profit called One Heart Africa with her husband, and co-founder, Ryan. 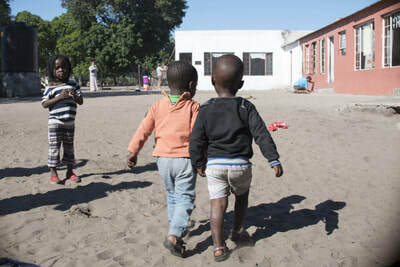 They were young and fresh out of college, but their drive and determination to help children and families on the other side of the world impressed me. They saw an urgent need for free education, clean water, and ethical employment in highly impoverished areas, and they answered the need with action. I was, and am still, amazed at how much Anna and Ryan have accomplished in Africa in such a short amount of time. ​​In 2015 I felt humbled and honored when Anna and Ryan asked me to serve on the Board of Directors, and I didn't hesitate at all. I knew their character. I knew their determination to build and grow a community. I admired their decision to help others through action. I have served as Board President for two years, and I wouldn't trade a moment of time, resources or money given to support this great work. ​Since Female Idea Tank began, it's been important for me to give back and support other women. Giving to One Heart Africa while also supporting local women in business, keeps me humble. I know it's not always practical to help everyone, but this quote by Mother Teresa sums it up for me, "Never worry about the numbers. Help one person at a time, and always start with the person nearest you." Although I an unable to physically go, I can support Anna, Ryan and One Heart Africa and help change lives. Today, Ryan and Anna live in Swaziland and manage Lubombo Valley Farms. 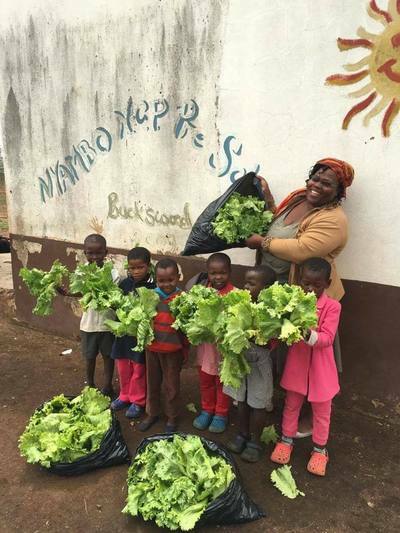 They are "literally" building a community and providing fresh, nutrient-dense food to neighbors affected by HIV (which is a number that is estimated to be above 30% of the population in Swaziland) and also for area care points who serve orphaned and vulnerable children in the community. Through the farm, One Heart Africa also teaches sustainable farming techniques, providing jobs to local farmers and teachers. They have taken the practice of "community development" to a life-altering level for the African families they serve. If building a sustainable farm isn't impressive enough, they also built Sharing Hope Preschool in 2012. Since then, it has grown to include three classrooms, four teachers, three staff and 100 students that are fed daily, loved by their teachers, given a quality education, and provided safe water through the school’s fresh water well. They have also drilled an additional four wells in Licilo providing clean water to over 850 people. 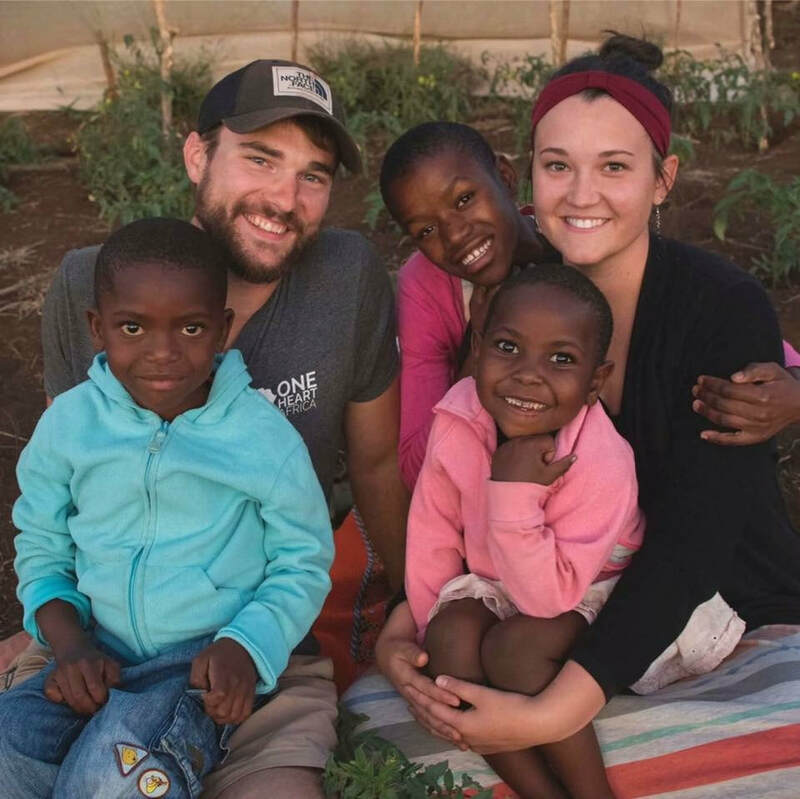 Ryan and Anna currently live on the farm in Swaziland where they manage the day-to-day activities of the organization and enjoy lots of beautiful sunsets! We sure do miss having them close by but are proud of the work they are doing on behalf of all of us back here in the States. I am inspired by Anna and Ryan accepting their call to minister in Africa, and blessed by their courage to push through when times get tough. That "chance" meeting Anna and I had years ago, and all the work we've been privileged to do together has changed me. I truly am grateful and blessed. I still believe there are no accidents, that there's a purpose for everyone who comes across my path, and I continue to be humbled and honored to give back and "pay it forward" by supporting other great women! One Heart Africa from Asa Wright on Vimeo. Want Your FREE Take Action Worksheet? Enter your info below for a FREE Take Action Worksheet. It's designed to help you prioritize (when everything's a priority). You'll get lots of valuable, fresh, weekly content. Stay up-to-date with our Female Idea Tank community (Yay!). Save time with practical tips on productivity, leadership, marketing, social media ... AND MORE! Freebies + tools to help you succeed in life and business. Sign up today!